Roughly 85% of the homes, condos, and apartments in the contiguous United States have water that tests somewhere on the hardness scale. This means that the water coming out of the tap contians higher-than-average levels of dissolved minerals like calcium, lime, or magnesium. And while hard water is generally harmless, and even beneficial in some cases, it can present some headaches around the home. So, how can you tell if you have hard water? Hard water stains are often hard to miss around your home if you know what to look for. The most common complaint about it being the staining left on and around surfaces where water is used. These can show up like gray spots, cloudy film, and chalky buildup around your shower, sinks, faucets, toilets, washing machine, dishes, coffee pots, teakettles, dishwasher — anywhere water is used. Hard water can also affect the quality of your clothing over time — after repeated washing in hard water, clothes can show wear more easily and might not be as soft or comfortable as you’d like. You might also notice the water pressure in your shower or sink is lacking — there’s a good chance those dissolved minerals have dried inside the fixture over continual use, leaving buildup that blocks openings internally and on the surface of fixtures. Hard water is also notorious for reducing the effectiveness of soaps and detergents, which makes removing them an even bigger problem in the bathroom and kitchen. Since hard water is more likely to combine with soapy residue that it can’t dissolve, it often leaves you with two cleaning problems (soap residue and hard water stains) to contend with. Lemon Juice: Using lemon can be an effective method to cut through hard water stains. It’s easy to dissolve in a spray bottle with some water — then you can spray the affected areas and wipe away for a shinier, fresh-smelling clean. Vinegar: Similar to lemon juice, vinegar can also eliminate hard water spots and film. And like the lemon juice method, you’ll want to dilute it in a spray bottle by about half with water. You may also find it even more effective to let the solution sit on the surface you’re cleaning for a few minutes before wiping down to allow for the best result. Baking Soda: Baking soda can be used in conjunction with vinegar to form a paste — start with a few tablespoons of baking soda, and enough vinegar to moisten the mixture to a thick consistency you can spread on surfaces. Like the vinegar method, let this paste set on surfaces for about 15 minutes before removing with water and drying promptly. If you’ve tried all of these home remedies for hard water without ideal results, you might be dealing with a bigger, harder water issue. For that, your local hardware store should be able to direct you to specific mineral-removal products that can speed along your cleaning. From CLR to Brite & Clean, you should find these specially-formulated products spare you a lot of elbow grease. It’s also important to read the lables on each product to make sure they’re suitable for use on the particular surface you’re looking to clean. Many products that work well on porcelain won’t be effective for marble or tile, and some can even harm certain surfaces they’re not intended for. Hard water problems can impact everywhere in your home, and you could be sinking a lot of time and money addressing all the problems it causes. If your water is particularly hard, it may even require a chemical-based cleaner to treat, costing you even more of both. The remedy that is typically sought out for those who do not want to face these issues anymore is a water softener . 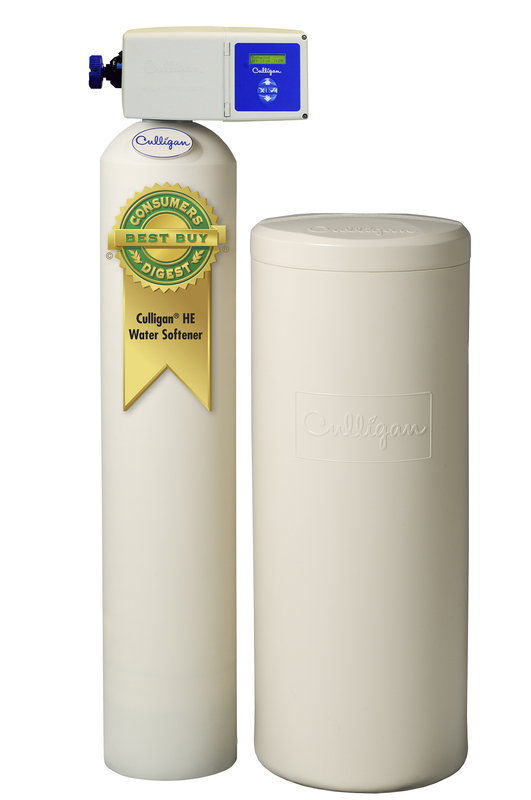 A whole home, or “Point-of-Entry (POE)” water softener is installed at the source of your home’s water, and comes in a number of styles. 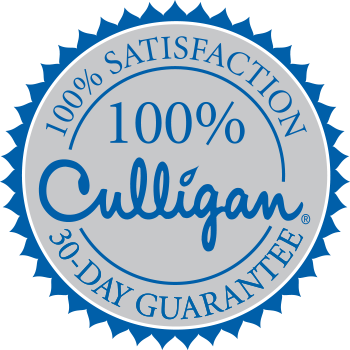 If you’re among the 85% of Americans that live in a household with hard water, get a free water test from your local Delmarva Culligan. Is Mercury in Your Delmarva Water an Issue?